PITCH PERFECT: For many fans, Harris has always had the 'X factor'. ON Sunday, December 2, Dalton Harris was announced as the winner of the 2018 season of the X Factor UK singing competition, after fending off spirited challenges from some worthy contenders. The writing was long on the wall, and as the competition hit the home stretch, it became abundantly clear that this 24-year-old natural, a son of Sanguinetti in Clarendon, was about to enter the history books. Along with global household-name status, his big win goes hand-in-hand with Tessanne Chin’s triumph on Season 5 of The Voice. Tessanne and Dalton must do a song together. The lyrics are taking shape in my head as we speak. 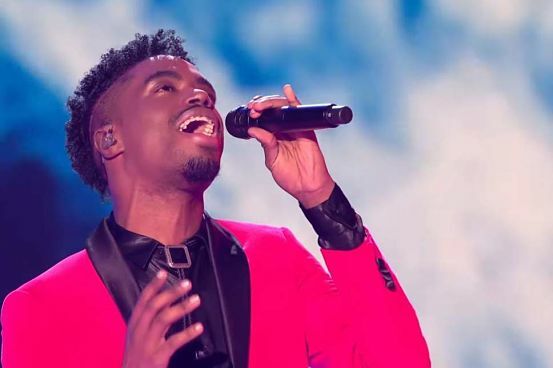 For countless folks who saw Dalton Harris win the Digicel Rising Stars competition in 2010 and watched him on the X Factor, the most fascinating thing to comment on is his transformation, physically and vocally. Donovan Germaine and Kingston College were a blessing. In hindsight, there was absolutely no doubt about his abilities as a singer. The boy’s got real talent, and it helped him win Rising Stars. But what a phenomenal instrument his voice has become! You can tell he did some serious vocal work with Germaine’s Penthouse label, and the results now speak for themselves. People are in awe. I am in awe. He’s not one of those singers who does vocal acrobatics for the sake of showing off. In Dalton’s case, they elevate his performances. Already, it’s something that comes close to mastery. Now that he’s released his first single, “The Power of Love,” and is about to embark on a solo journey, what kind of career can Dalton Harris have? I see him as a future Maxwell, with a little Maxi Priest thrown into the mix. I hope he gets a great team to work with. As for the haters and detractors, they will have to take a seat. Dalton Harris and his army of supporters are winning right now.